Even those who are not fans of the game of cricket recognise the name Brian Lara One f the most gifted ever batsmen, let alone just in his generation, but in any, Lara was a record high scorer for the West Indies who is now synonymous with the game whoever he goes. Anyone looking for a cricketer to front their brand, host an award or inspire their audiences with not just his tales but his winning demeanour, Brian Lara is the obvious choice. In 1994, Lara broke a record set by his fellow West Indies batsmen Gary Sobers’ that had stood for many years He scored a brilliant 375 and then went on to score 501 not out in a first class match for Warwickshire one year later. 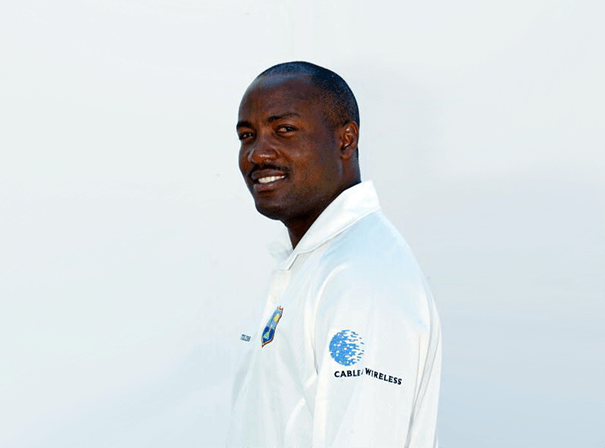 In 2004, Lara became the first batsman to reclaim the highest individual Test score record by scoring a 400 against England, in the process breaking Hayden’s 380. Lara played cricket and football and abel tennis even at the age of just six, and aged just 14 he scored 745 runs for his side that meant he was an obvious selection for the Trinidad Under-16 team. Then came caps for the West Indies Under-19 side and in 1990he captain his domestic side Trinidad and Tobago aged just 20. This was a record at the time and his career ever since that day was one full of glory. One of the nest to ever play the game, Brian Lara is very much a modern cricketing great.